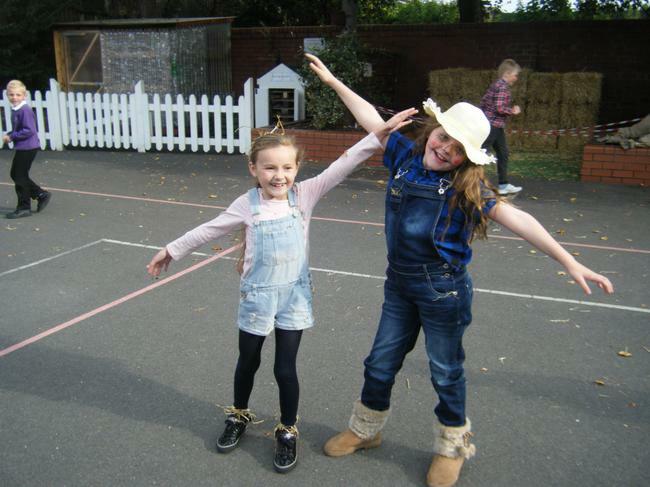 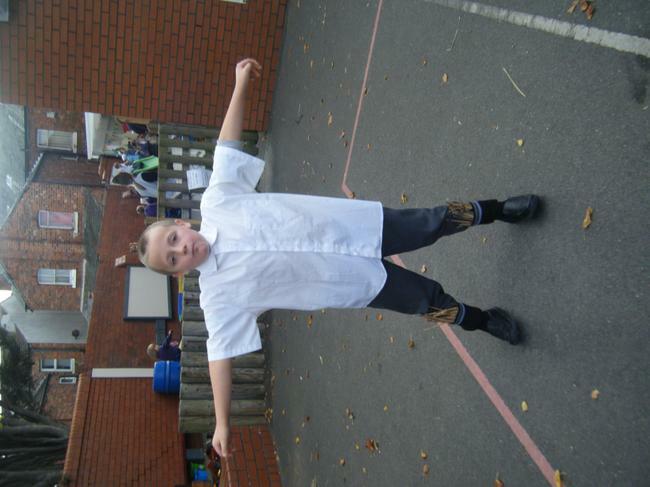 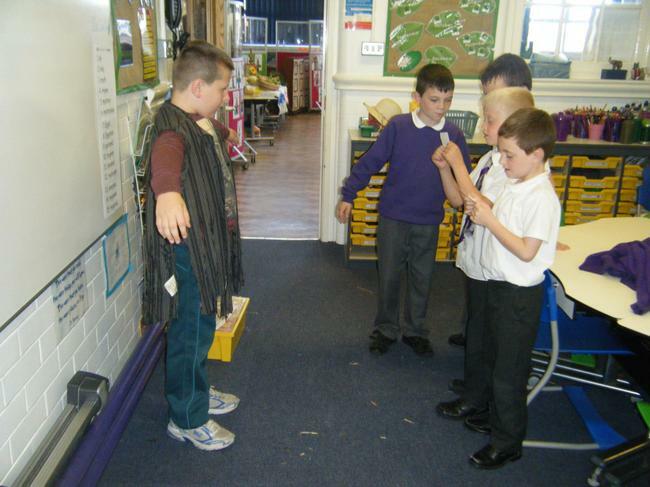 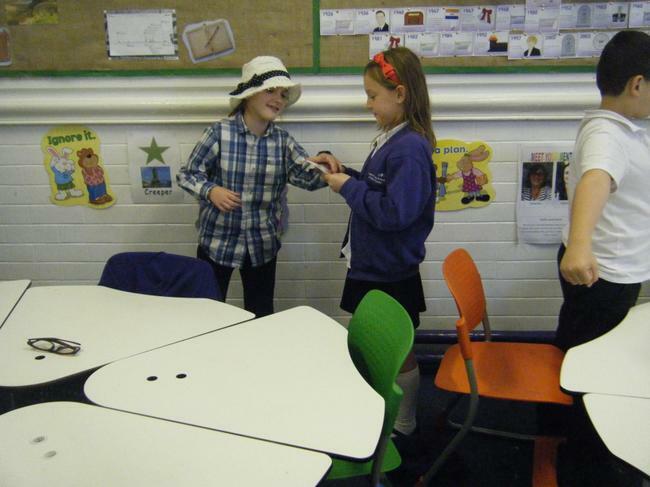 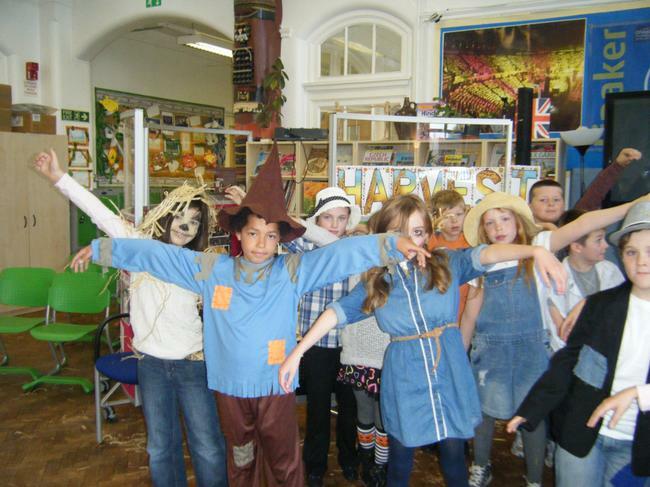 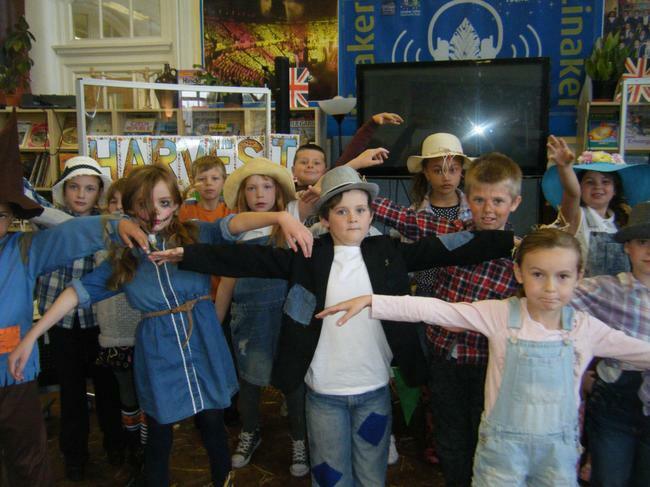 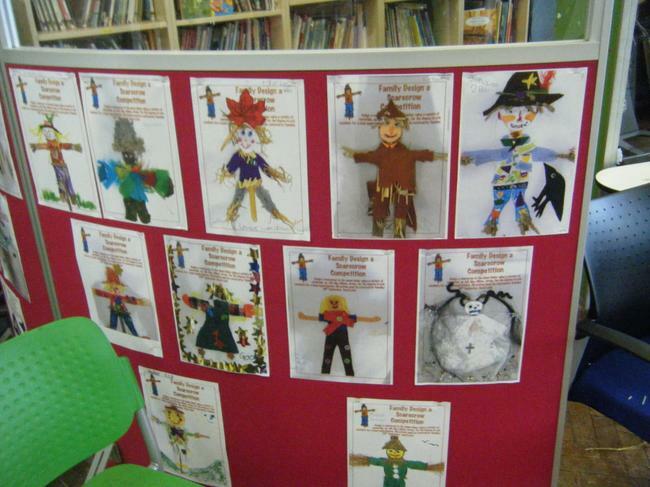 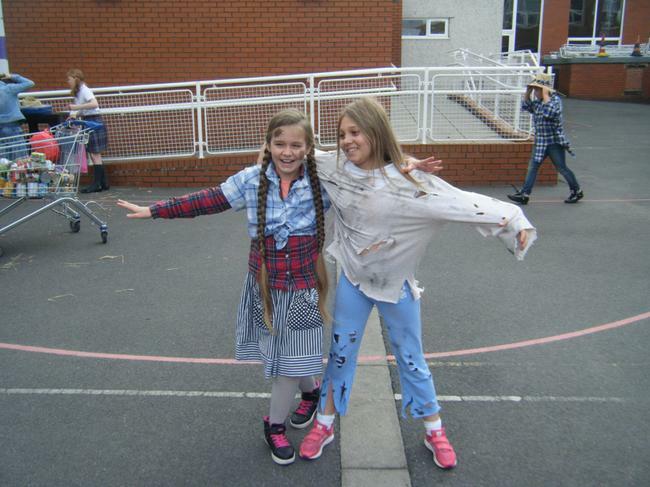 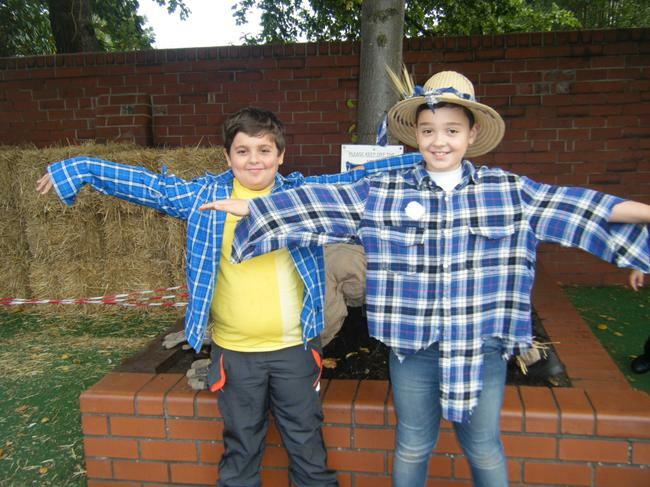 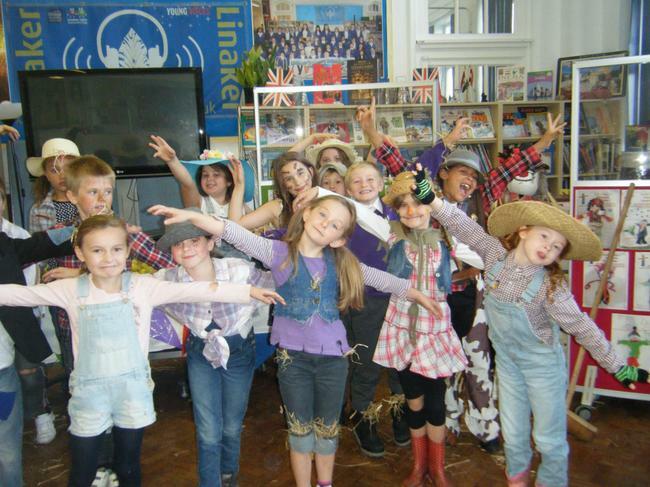 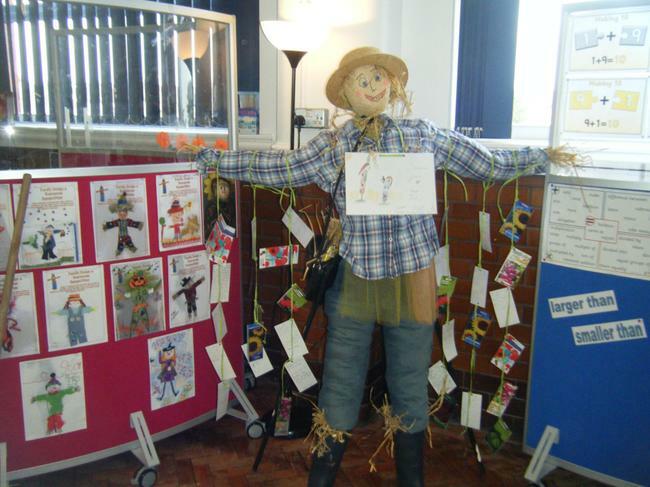 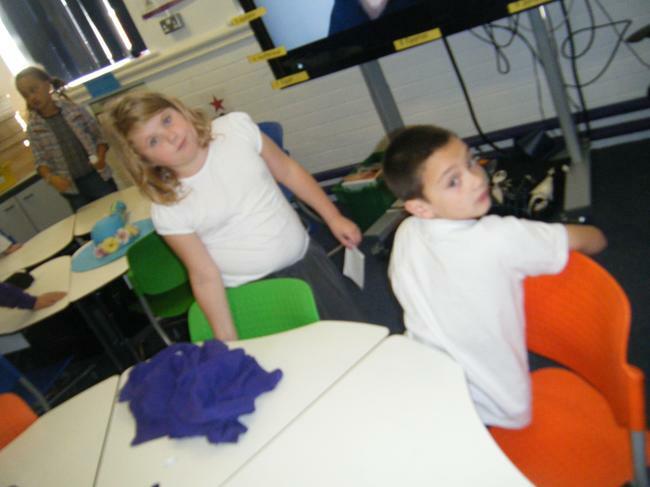 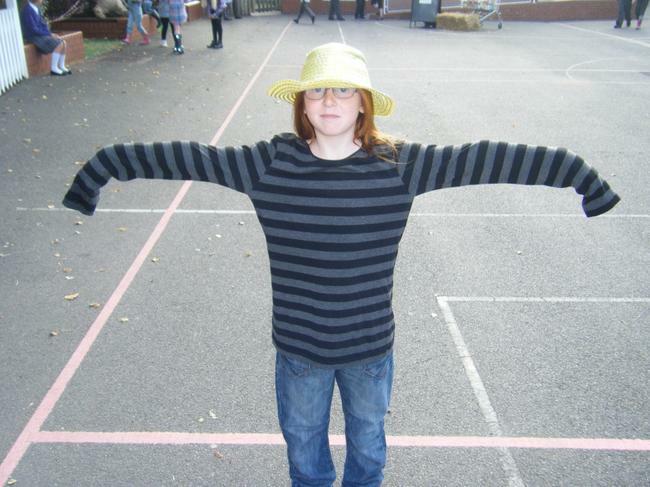 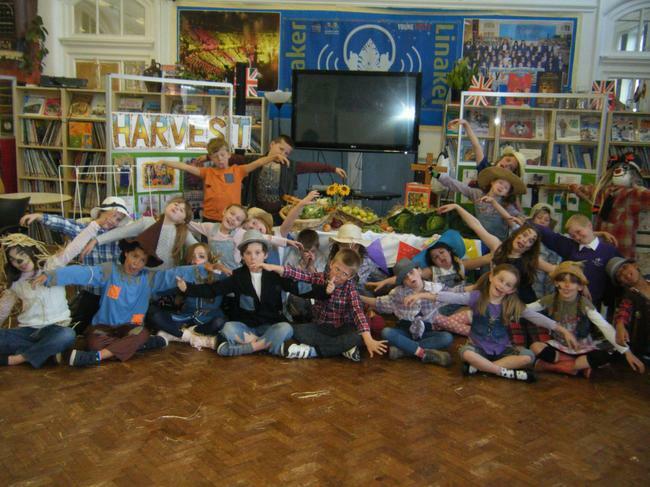 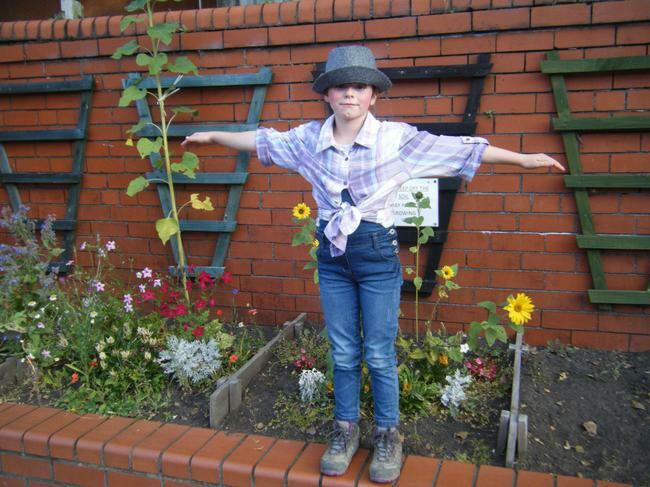 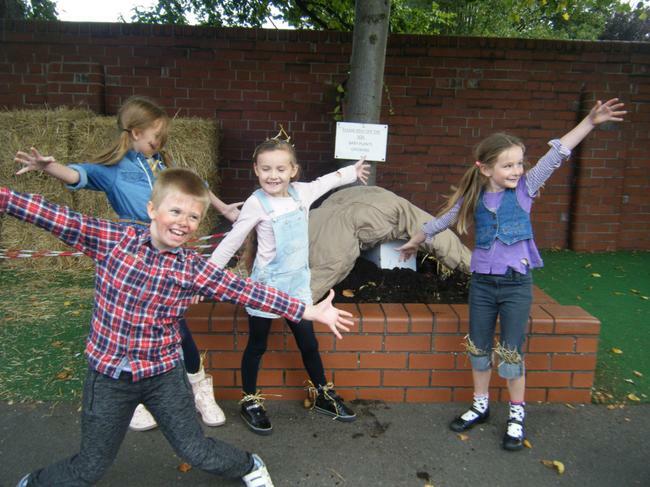 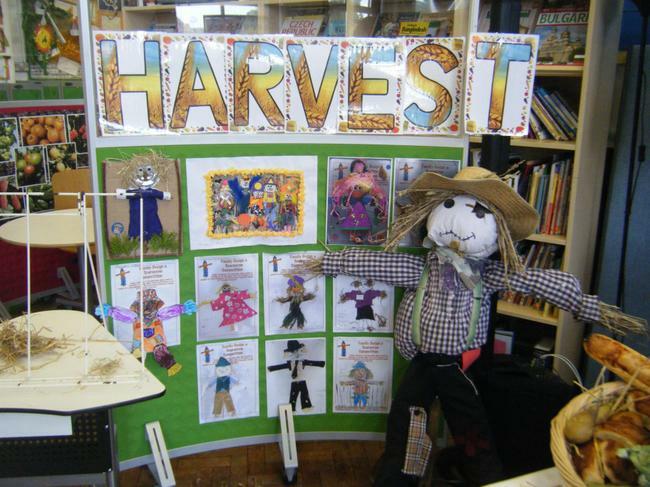 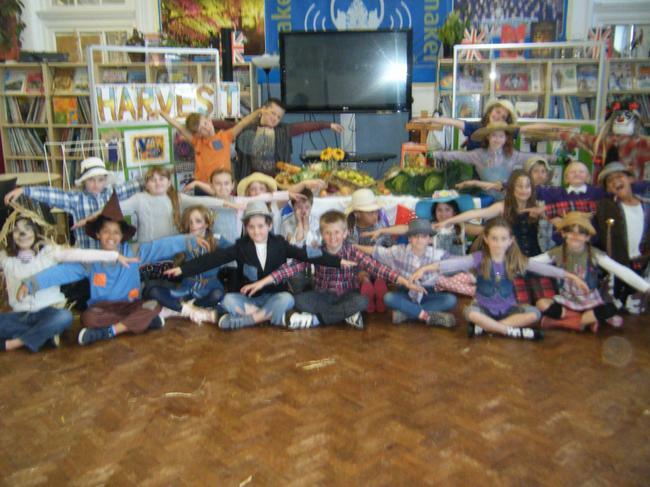 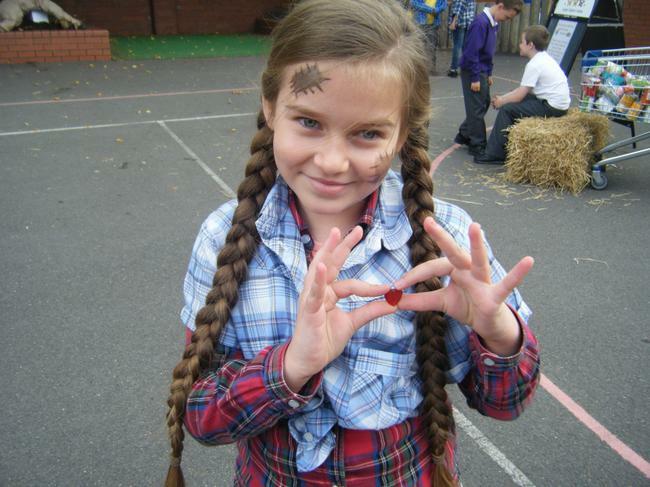 Lots of children worked hard to create outfits at home to come dressed as scarecrows for our festival. 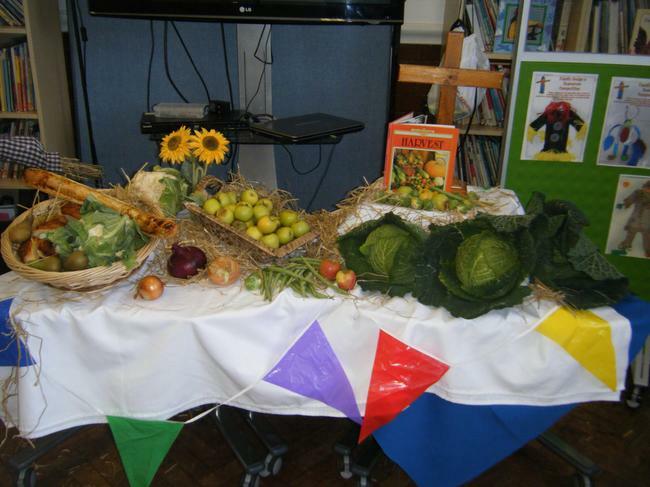 The hall was decorated beautifully for Mrs Brown's annual Harvest Assembly. 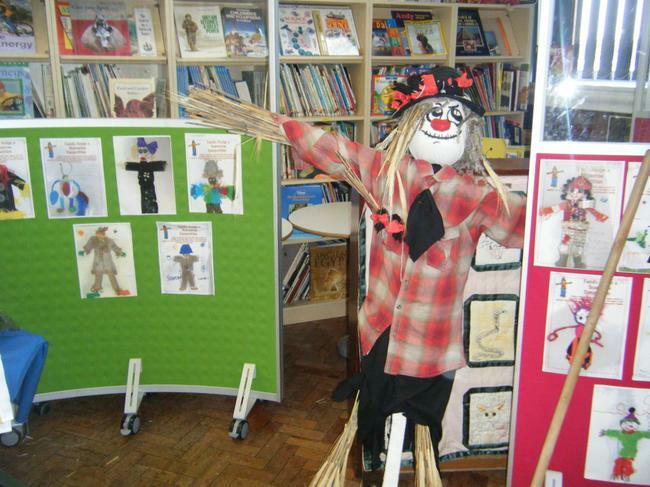 We enjoyed listening to her story about a scarecrow and his friends. 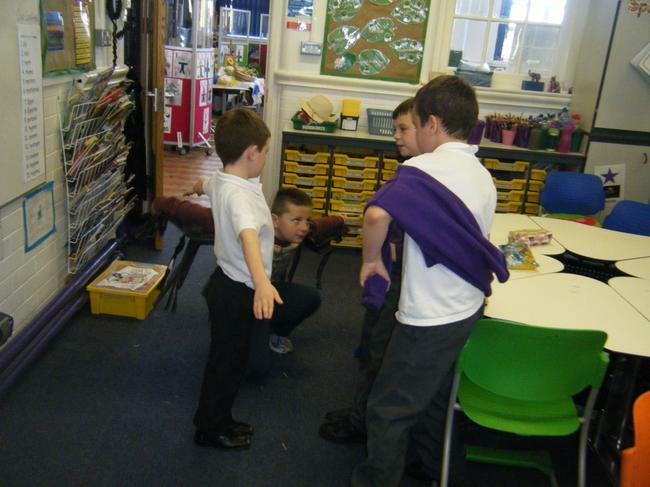 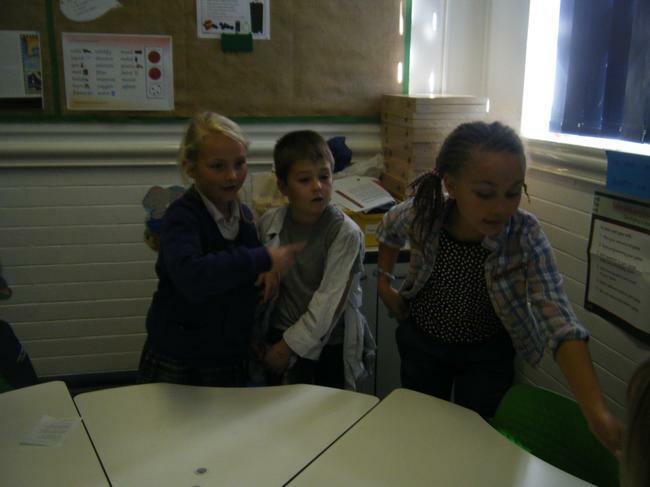 We also enjoyed watching our school friends take part in the story using the puppets. 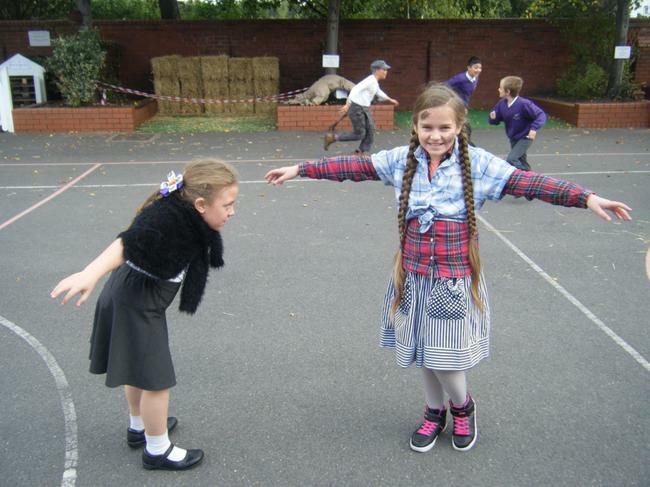 On the playground there were lots of scarecrows! 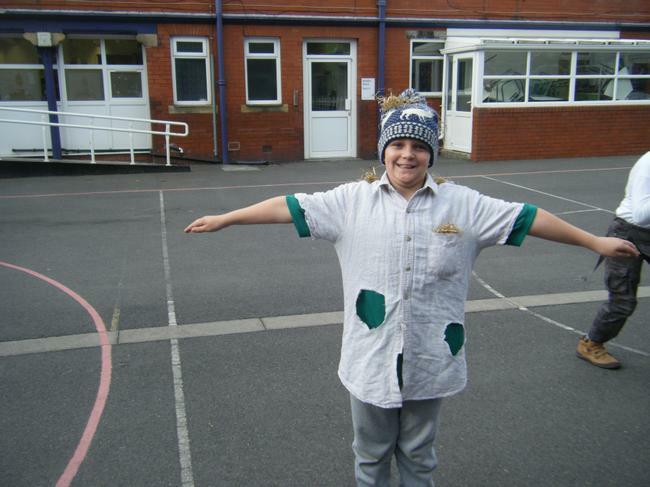 ...There was even a crow! 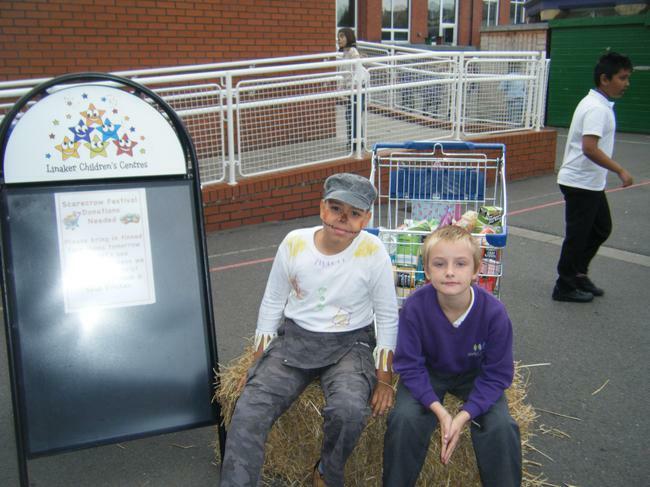 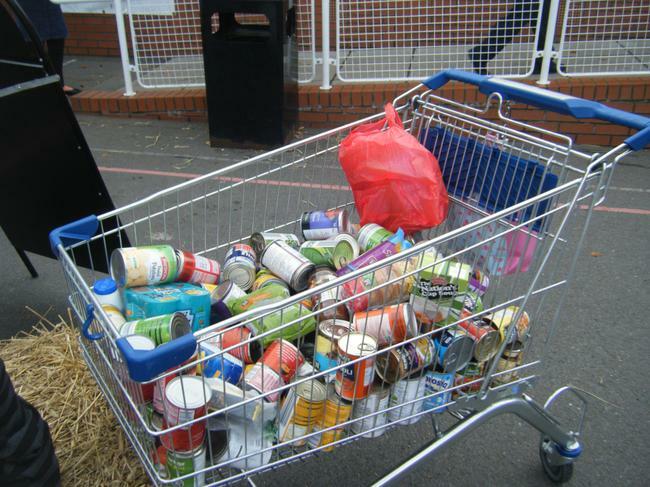 We enjoyed sitting on the bales of hay at playtime and looking at all the food that our children have donated to the Harvest Festival...Well done Linaker! 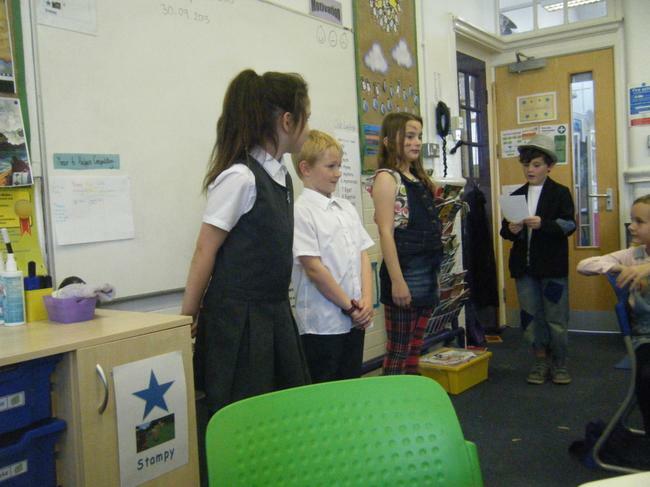 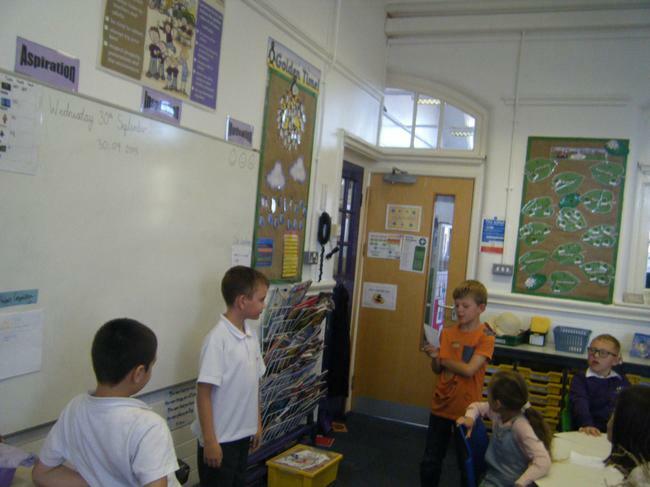 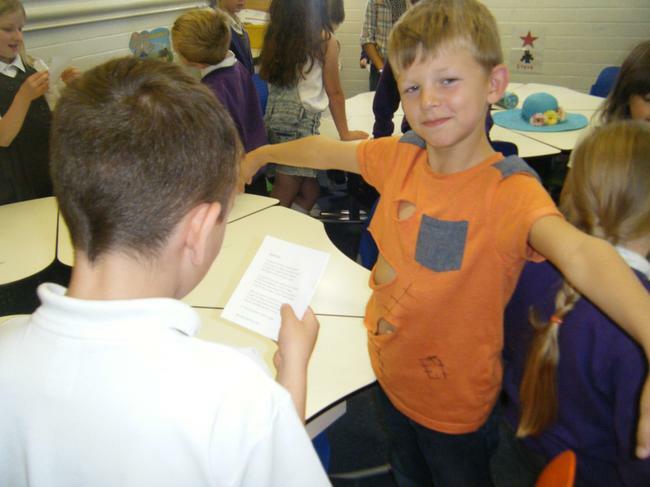 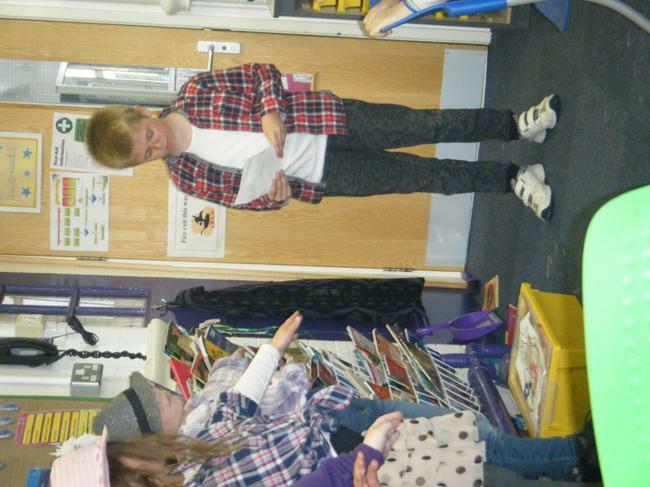 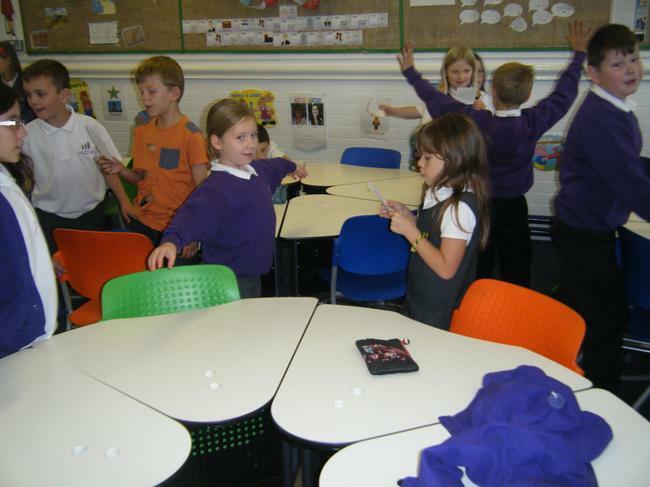 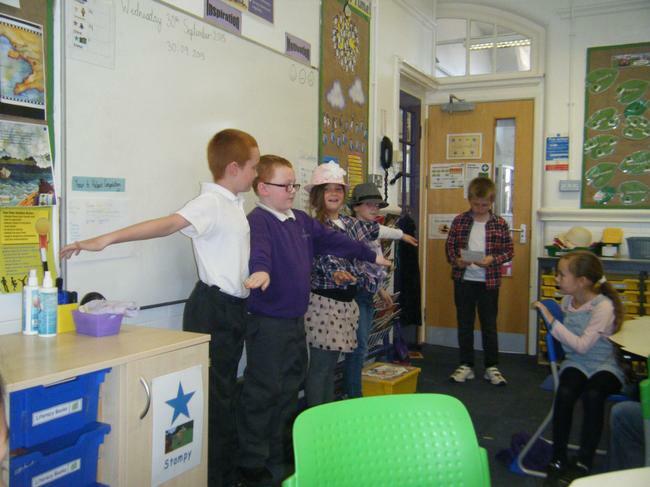 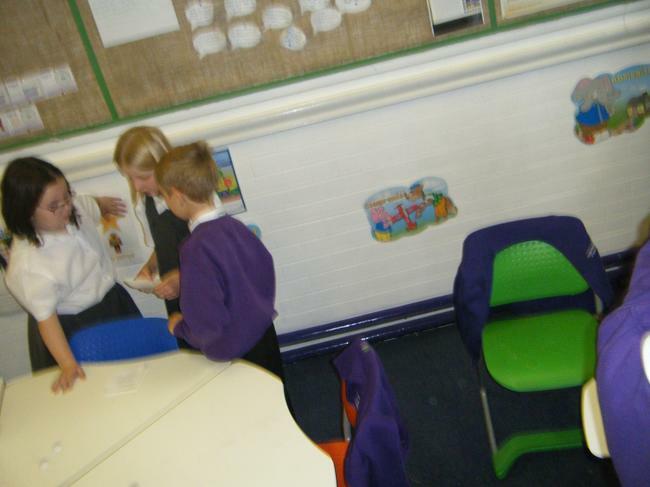 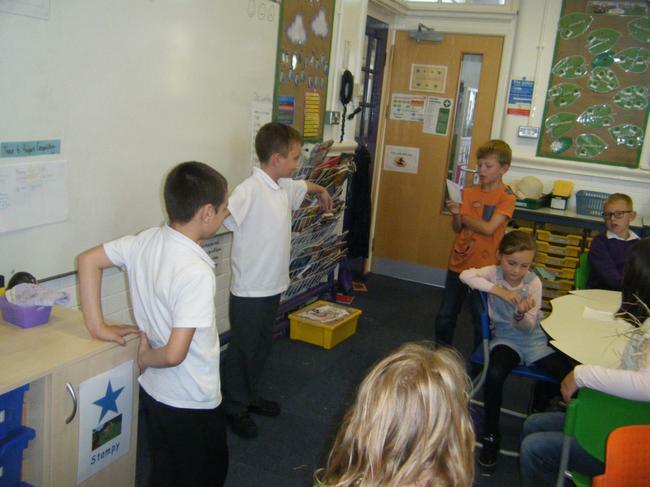 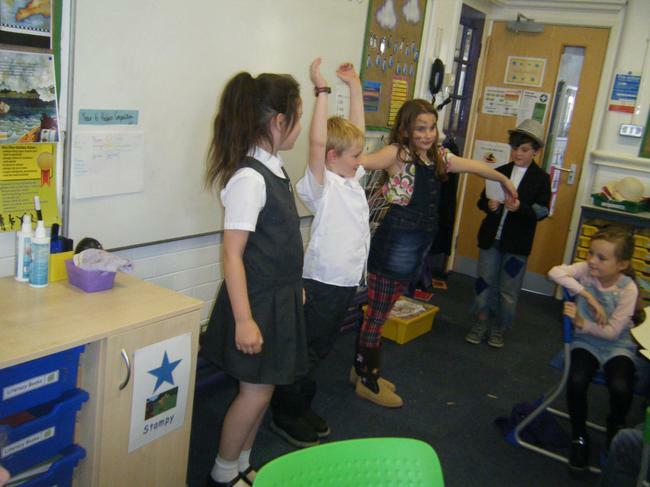 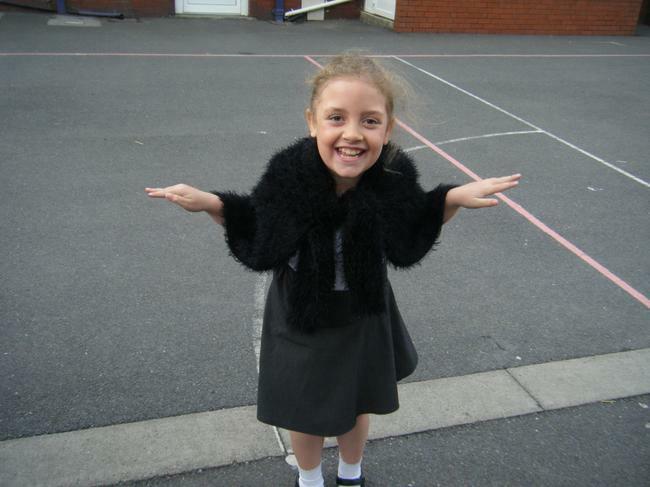 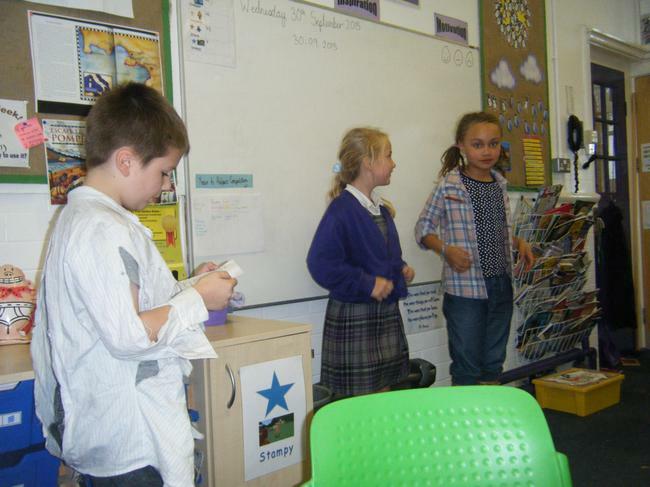 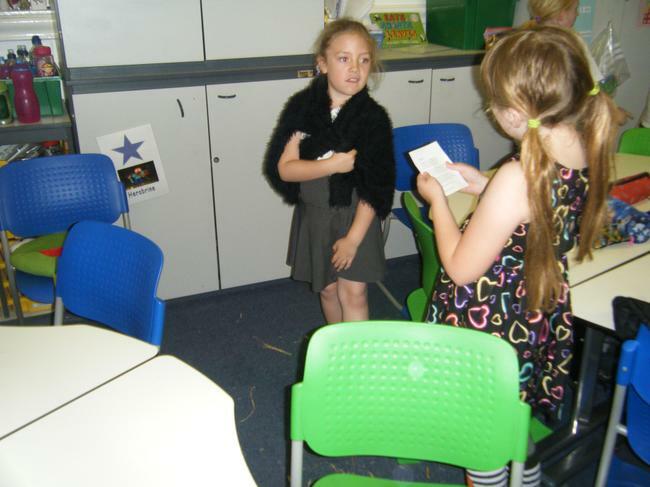 In the afternoon we learnt a poem and performed it in groups. 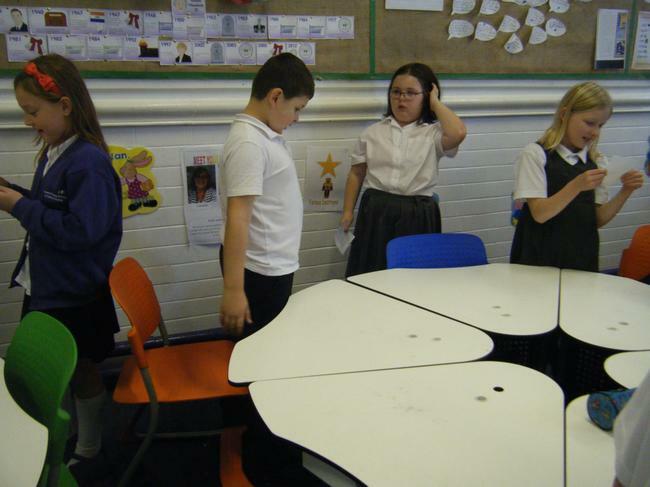 We thought carefully about our body movements and facial expression. 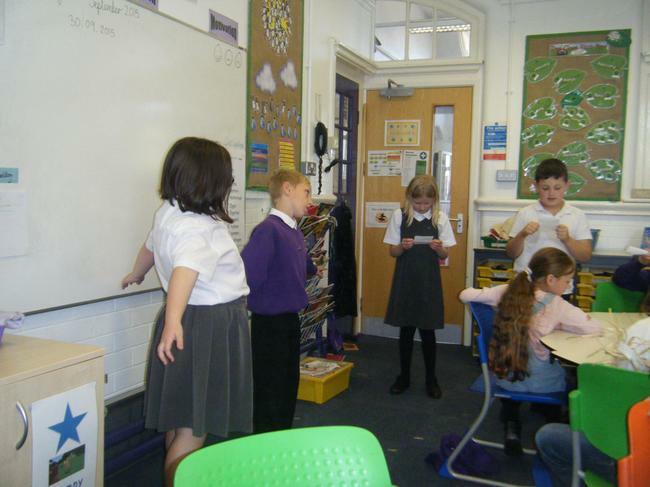 We also worked hard to read slowly, enunciate and to emphasise important words.